As a mom, each changing season of my children’s metamorphosis to adulthood comes with challenges and growth. It would be one thing if each child had the same challenge preparing me for another child’s transition but it simply doesn’t work that way. Each child, a different story, a different person, a different challenge presenting a different path growing their faith in Jesus. 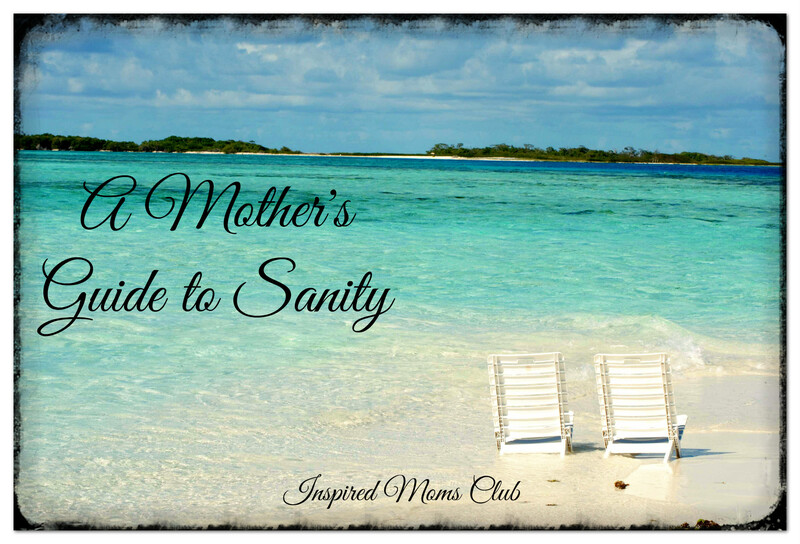 All the changing seasons and temperaments sometimes leave us as moms gasping for air when it comes to our sanity. I want to share some tips I’ve learned in the transitioning years of my children to teenagers. Everyone has different insight and perception as well as different children so I write knowing what has worked for me in the various stages my children have gone through. 1. Go to the Lord in Prayer. Sometimes we get caught up in the drama and chaos going on that we forget to pray. Other times we think we can handle the situation and refuse to pray because “We got this!”. While this is true to some extent, we serve a big and mighty God and He desires us to include Him in everything regardless of how small we think something is. He is our Heavenly Counselor and the first person we should go to. Even when we don’t know how to pray in a situation or what to say, the Spirit intercedes on our behalf. Philippians 4:6-7, “Do not be anxious about anything, but in every situation, by prayer and petition, with thanksgiving, present your requests to God. And the peace of God, which transcends all understanding, will guard your hearts and your minds in Christ Jesus. 2. Water helps soothe a troubled soul. Water has a soothing and calming effect whether you can sit and watch the waves roll on shore, bask in the running waters of the tub, or even watch the ripples flow with the wind on a neighborhood pond or lake. Take time to sit, think, and absorb the beauty and healing in water. It truly helps to clear your mind of clutter and helps focus on the issues leaving you refreshed and renewed. Psalm 23:2-3, “He maketh me to lie down in green pastures: he leadeth me beside the still waters. He restoreth my soul: he leadeth me in the paths of righteousness for his name’s sake. 3.When in doubt, put yourself in time-out. There were days, I was so exhausted and could no longer handle one more temper tantrum. The feelings of defeat eminent at the onset of another sibling argument and I didn’t know what more to do. So instead of sending my children to time-out and fighting them and the clock to stay put, I went there instead. The time spent behind a closed-door getting my attitude and thoughts aligned, gave me time to calm down and review a new strategy. Was this time perfect, no! It still had the chubby little hands and feet poking under the door complete with little voices asking me to come out but it gave me a much-needed break and redirection needed in that moment. It was no longer them fighting but wondering instead why mommy was behind a closed-door. My mom time-outs continue to this day, however, the chubby hands and feet no longer appear under the door and the time needed to calm down and readjust my mindset now understood among them. 4. Measure your thoughts and feelings. Ask questions and get down to your heart issue. I’ve asked myself, “Does this argument matter? Who is this about, me or them?” Take your thoughts and feelings captive in Christ and align them with what He says in scripture. Being a parent is hard and we will mess up but our mind and heart have to line up together. Our decisions shouldn’t be based on just our thoughts nor can they be based on just our feelings. Our thoughts and feelings need to line up together considering the best outcome for all involved. Philippians 4:8, “ Finally, brothers and sisters, whatever is true, whatever is noble, whatever is right, whatever is pure, whatever is lovely, whatever is admirable—if anything is excellent or praiseworthy—think about such things. James 1:5-6, “If you need wisdom, ask our generous God, and he will give it to you. He will not rebuke you for asking. But when you ask him, be sure that your faith is in God alone. Do not waver, for a person with divided loyalty is as unsettled as a wave of the sea that is blown and tossed by the wind. 5. Do not fear. I know, fear and worry are hard not to do and I constantly struggle with this. The Lord continues to show me that it’s in our fears and worries we forget who has our children covered and who directs their paths. Fear and worry also causes us to take things back into our own hands when it’s God who directs their paths. Our calling is to protect, care for, lead, guide, and prepare our children for the path before them. We were never asked to prepare their path or have them live out our desires but those of our Savior and King. Luke 12:22-26, “Consider the ravens: They do not sow or reap, they have no storeroom or barn; yet God feeds them. And how much more valuable you are than birds! Who of you by worrying can add a single hour to your life? Since you cannot do this very little thing, why do you worry about the rest? 6: Forgive yourself. This is probably one of the hardest things to do. Wired differently as women, we can keep long lists mentally tallying all the things we’ve done wrong and everything done wrong to us! I have found for me, the best thing I can do is confess all things done wrong to the Lord and lay them at His feet. When I do, I feel better, knowing that He forgives as far as the east is from the west. I also find it freeing to apologize to my children after one of my “momster” moments. With that being said, I understand now too, just as with me, sometimes it may take a bit of time for hearts to soften. When they do, we can approach each other in peace and with open hearts. Never let hurt feelings fester for a long period as this gives the Devil a foothold in your relationship with your children. The spoken word of “I’m sorry” is a soothing balm to hurting hearts regardless of who is right or wrong. It’s a laying down of weapons of sorts and the peace received in forgiveness from them is a reminder that I too should forgive myself.